REVENGE AND RETRIBUTION Tortured Trail is the second novel in the straight shooting, fast moving, action-adventure Jack Ballard series. In book one – No Man’s Land – Ballard helped save a widow and her daughter from a hostile land grab in West Texas. Now, needing some cash, Jack has joined a cattle drive in Bandera, Texas and will serve as security and “Nighthawker” on the Western Trail heading toward Dodge City, Kansas. The trail, however, is beset with trouble. 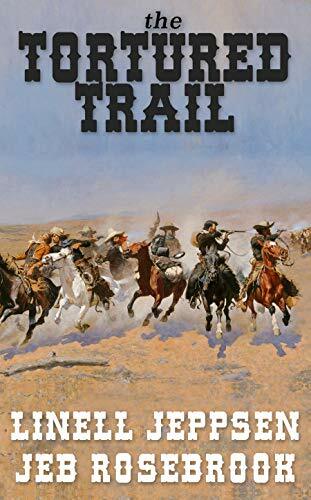 Storms, cattle thieves, and Indian attacks follow Jack and the Triple T cattle drive, and the further north they go the worse it gets… The Tortured Trail is the brain-child of the great screenwriter Jeb Rosebrook, and is an edge-of-your-seat thriller!